What is XLS Medical Carb Blocker used for? XLS Medical Carb Blocker is an oral medication used along with a balanced diet and regular exercise to aid weight loss. It operates by preventing the absorption of excess carbohydrates to prevent the formation of excess fat and energy reserves allowing existing deposits to be used. With prolonged use and exercise, this process can reduce body fat and the risk of cardiac conditions. Your physician may also recommend this medication to be used along with others or to treat other unlisted conditions. How should I use XLS Medical Carb Blocker? 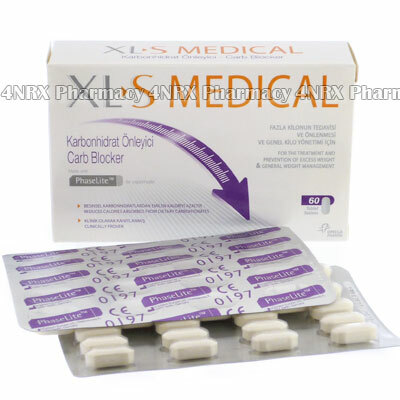 XLS Medical Carb Blocker should be used strictly according to your physician's instructions and those included with the packaging to get the safest and most effective results from treatment. Two tablets are normally taken three times a day; before each major meal. These should be swallowed with a large glass of water. Do not chew, split, or crush the tablets before use as this may affect their performances or effects. Ask your physician any questions you have about using the medication to ensure the correct administration. What are the side effects of XLS Medical Carb Blocker? XLS Medical Carb Blocker will not cause side effects in most patients, although some patients may experience some mild symptoms such as gassiness or an upset stomach. Contact your physician immediately if any serious or worrying symptoms occur being especially cautious about signs of an allergic reaction such as hives, skin rashes, swelling, or trouble breathing. These conditions may require reduced dosages, reduced application frequency, or immediate medical attention in serious cases to prevent more health problems from occurring. Strictly follow all instructions provided to you by your physician or pharmacist while using XLS Medical Carb Blocker. Optimum and safe dosage can differ based on the patient and the condition being treated.